A colleague in the Australian Centre for Blood Diseases (ACBD), Adjunct Associate Professor Andrew Wei, also received funding (see Andrew Wei story and summary story of MRFF AMREP recipients). Bone marrow transplant can be life-saving for people with leukaemia but 40 per cent of these patients develop a major complication called graft versus host disease (GVHD). GVHD is a rare, debilitating disease causing symptoms including damage to organs and skin conditions that can lead to disfigurement. Often those with it are unable to work. 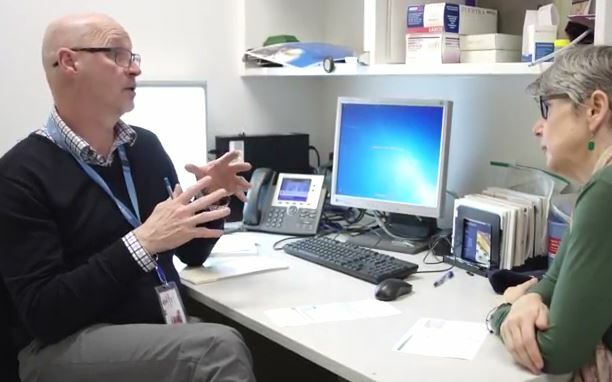 The funds will allow Associate Professor Curtis to begin a randomised clinical trial comparing the new drug with the standard strategy used to prevent GVHD. “These treatments trying to prevent it happening haven’t changed in 30 years,” he said. The drug, cyclophosphamide, is inexpensive and has already been used in a different transplantation setting. Associate Professor Curtis said the researchers were the first in the world to conduct such a trial. Ten transplant centres throughout Australia and New Zealand have agreed to participate in it. “If we can reduce the risk of getting this horrible disease it would quickly change the way we do transplants in Australia and probably internationally because it’s cheap and easy,” he said.